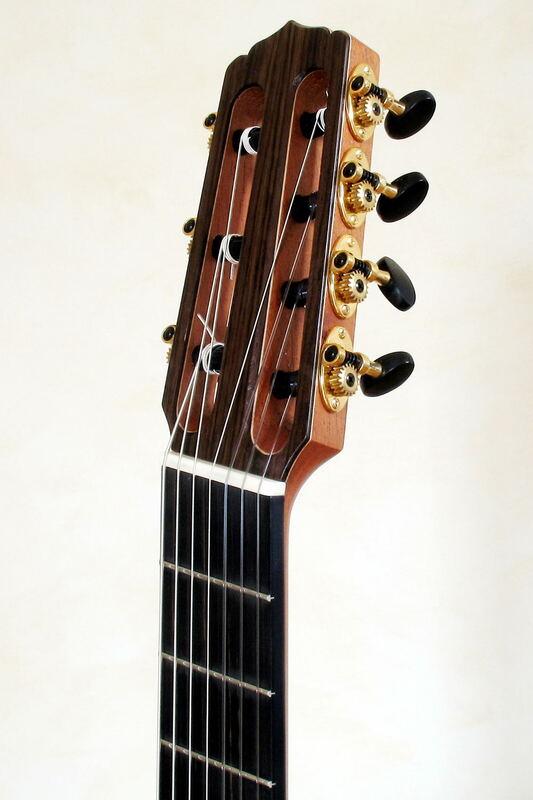 This 7-string guitar is based on our model Classic Line I. 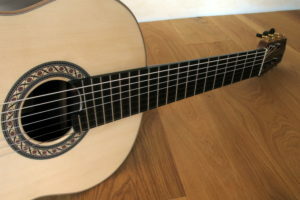 Unlike the recently introduced 8-string nylon string guitar for modern playing styles, this one is a real classical guitar for real classical guitarists. The seventh string extends the bass range. With the fanned frets we perfected ergonomics and intonation. Fanned frets (multiscale fingerboard) allow for an optimal scale length for each string (freely vibrating string length). 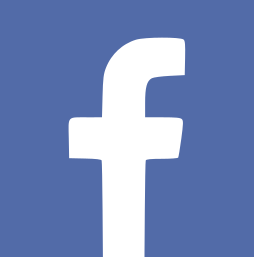 This is based simply on physical laws. 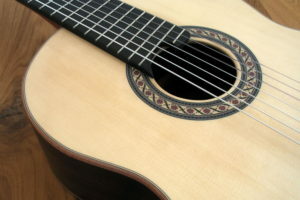 The lower the pitch of a string, the longer it should be. Treble strings may be correspondingly shorter.  For the presented guitar, this results in a scale length from 63.5 in treble to 66.5 cm in the bass range. 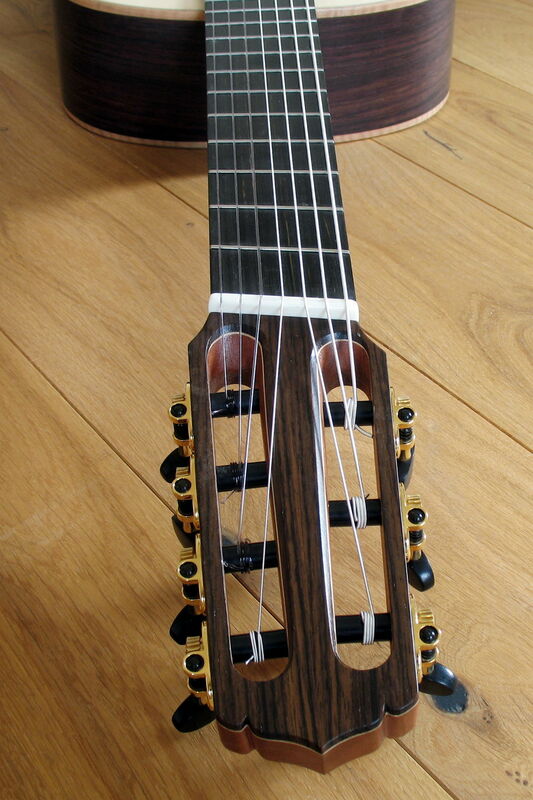 The multiscale fretboard allows the guitarist a more ergonomic, fan-like hand movement, hence the name fanned frets. 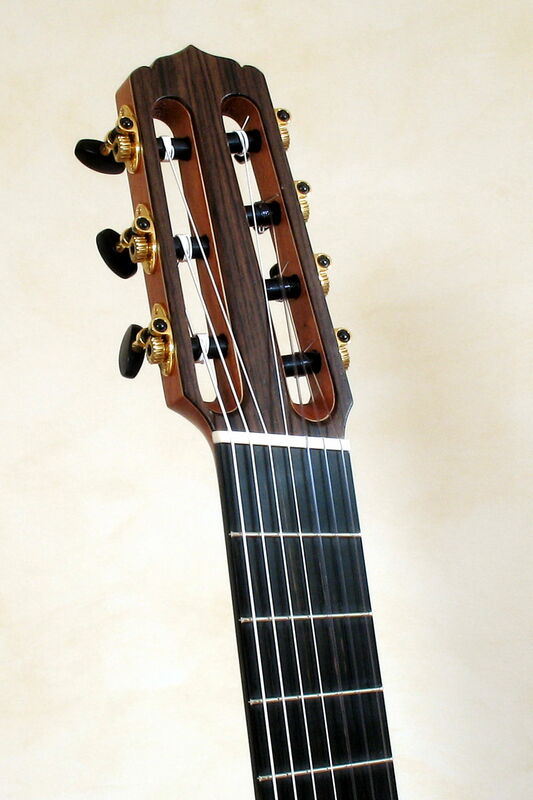 With a 7-string guitar, fanned frets are even more important in order to achieve the full virtuosity of playing. 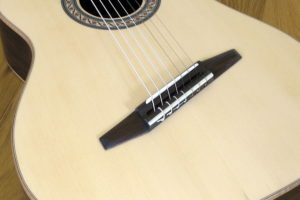 Fanned frets also provide 100% intonation. Therefore a special bridge has to be developed. The trick with this task is, not to spoil the design of the guitar. 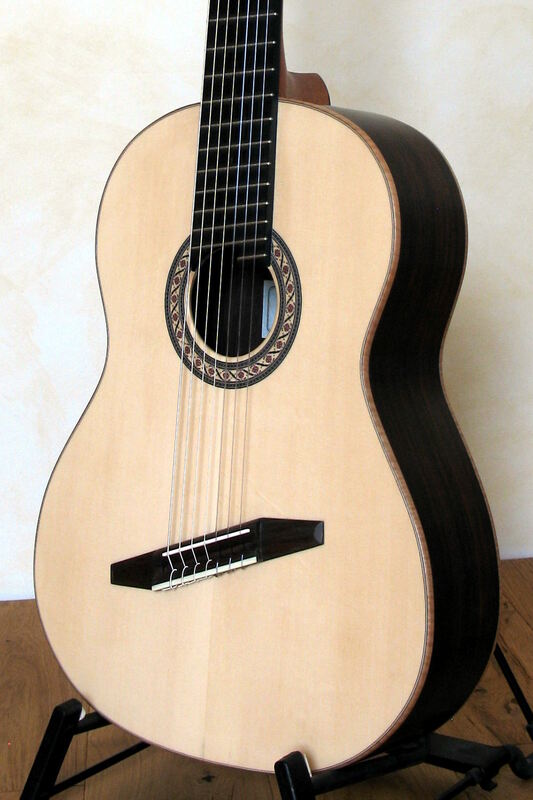 For the 6 standard strings we have chosen Pro-Arté Dynacore by D'Addario. 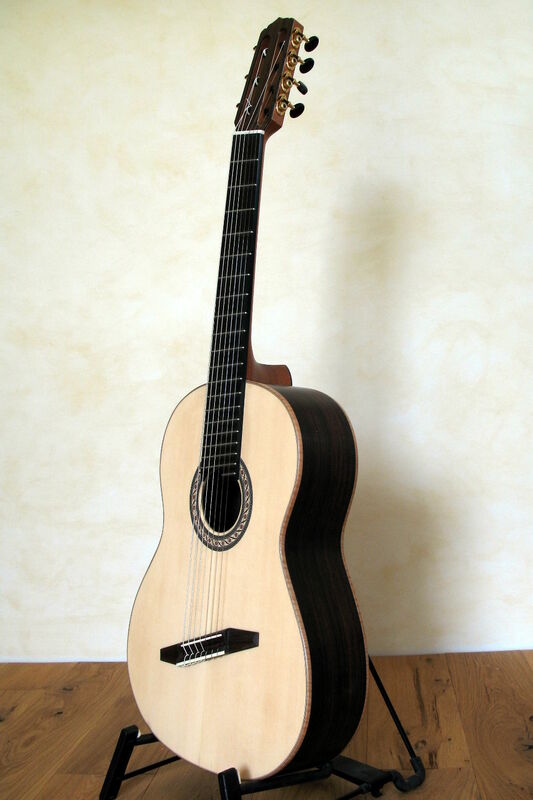 With classical guitars usually the low strings are added in whole steps. 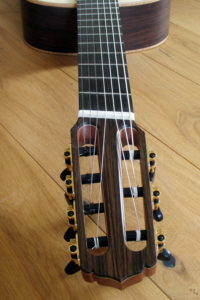 Consequently, the seventh string would be D. We opted for continuing the sequence of strings logically down, resulting in a B-string. 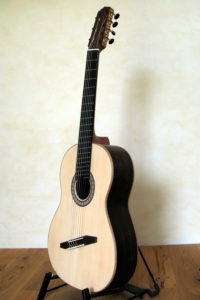 It is custom made by Lenzner, a small german manufacturer. 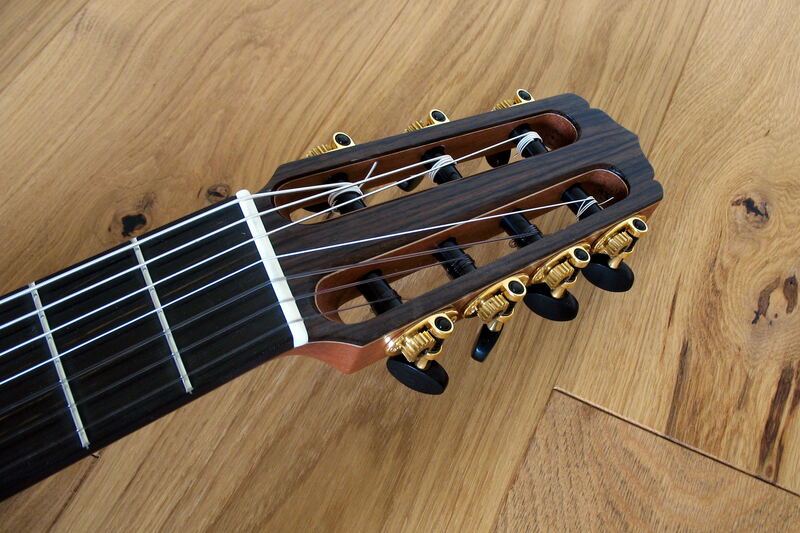 Tuning is provided by Schertler Gold single tuners with ebony buttons. The bridge has a double hole tie block, which is even more important with fanned frets to guarantee uniform pressure on the bridge saddle. 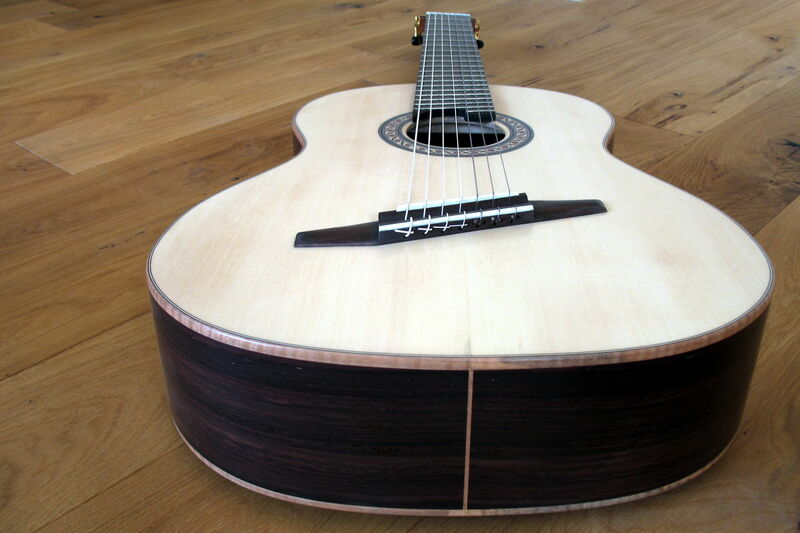 This classical guitar is a true classic in the choice of woods. Back and sides are made of Rosewood, the top is made of Alpine Spruce. 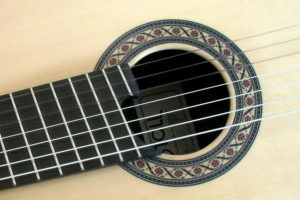 The fingerboard has 19.5 frets and the typical STOLL extension at the soundhole. 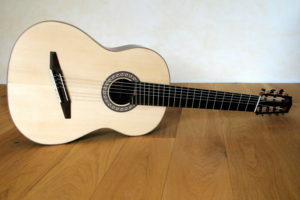 The rosette is a blend of the colors of body and top, complemented by subtle red color spots that match well with the bindings of flamed Anigré. 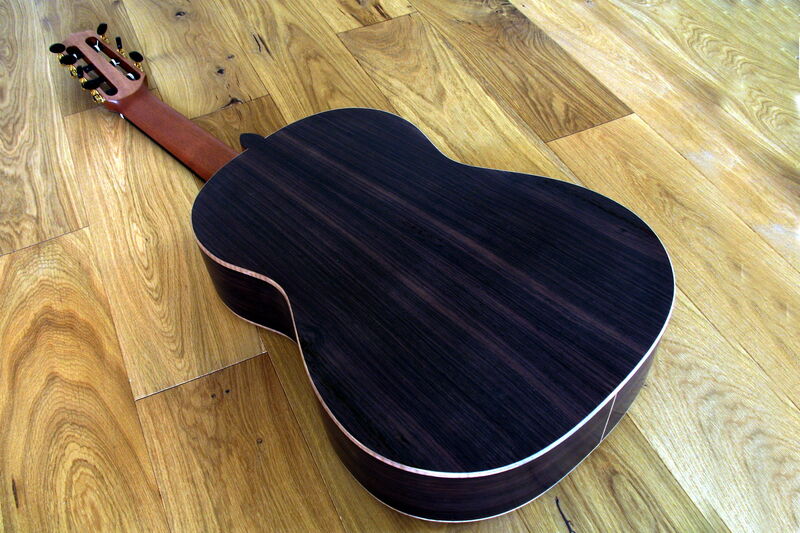 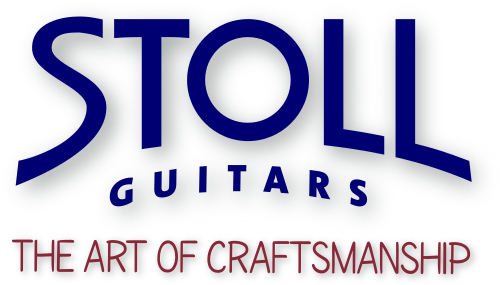 Rosewood is first choice, when you think of classical guitars. 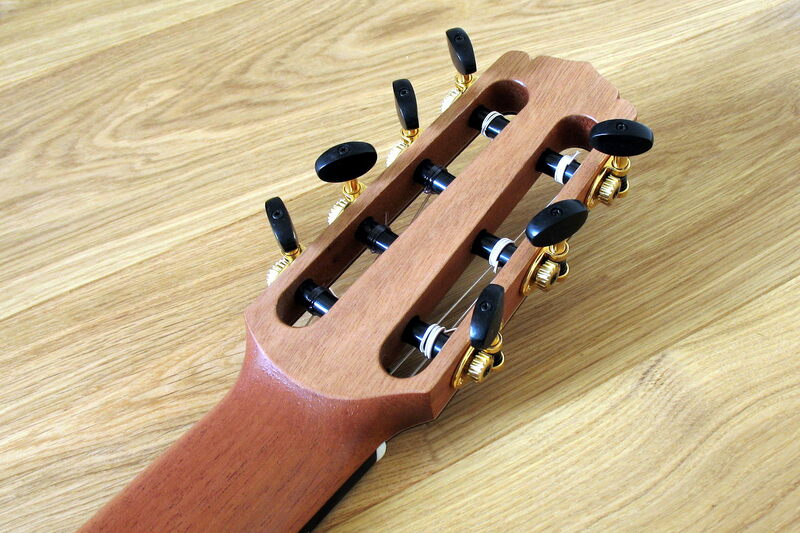 It develops a well-defined sound from the highest treble to the lowest bass. 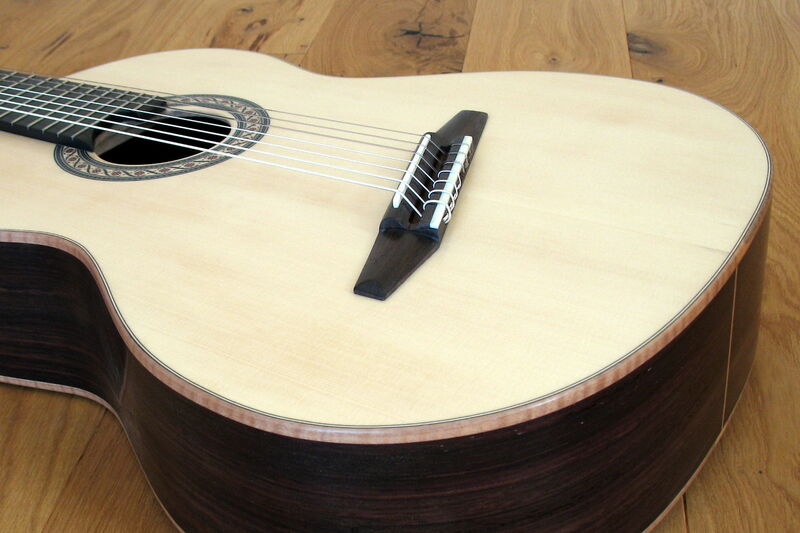 This guitar offers a strong midrange, a sonorous bass and sparkling treble. 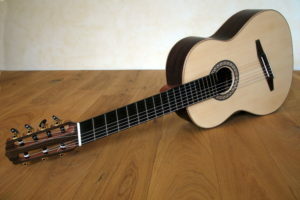 The sound is very powerful but still natural. It offers a warm assertive sound and clean separation. 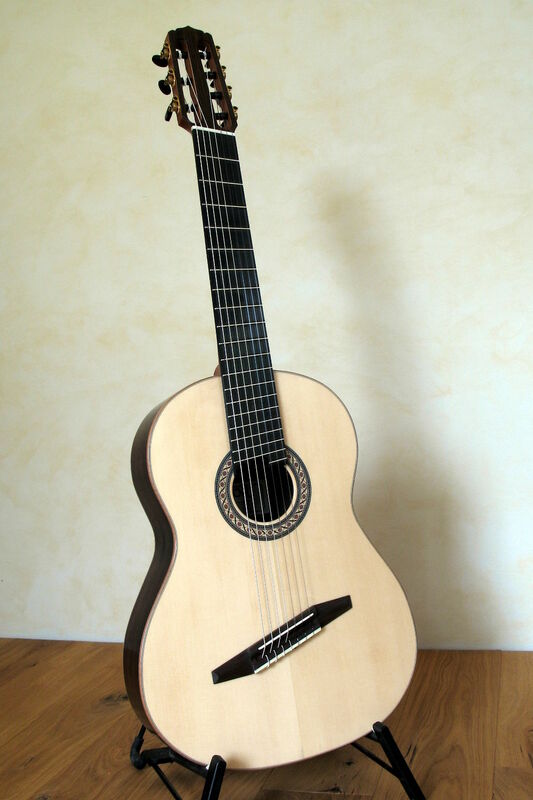 The low action and ergonomically crafted neck facilitate playability in addition to the fanned frets and give even professional players a surprisingly new and relaxed feel. 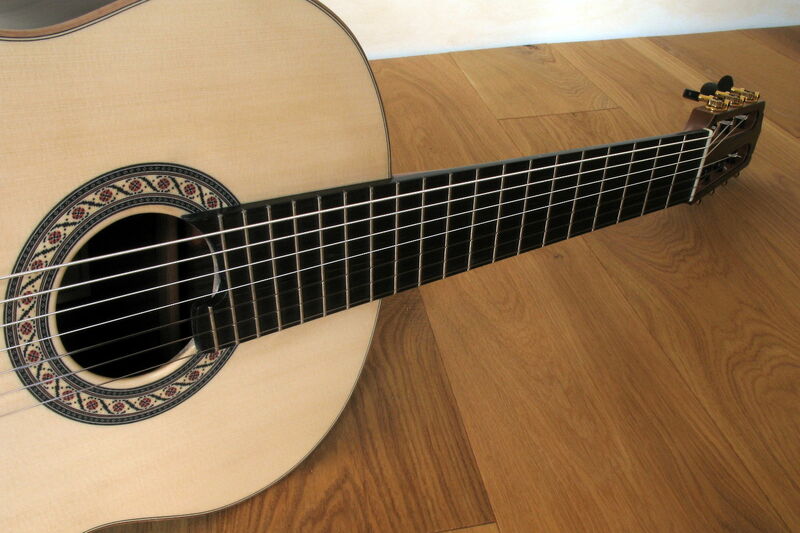 This classical guitar is a treat for every classical guitarist.